ADELITAS WAY, whose hard work ethic has made them a household name, have entered into a management deal with FM Music Management. The band will be joinging FM Music Management’s impressive roster which includes Nonpoint, Kataklysm, Through Fire, Royal Bliss, Deadset Society, Keith Wallen, Spoken and more. 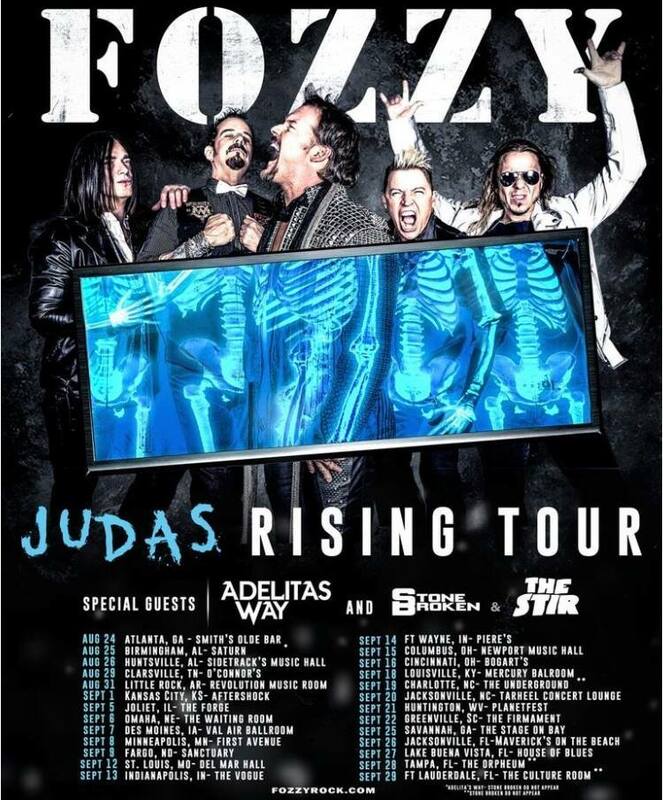 In addition, the band has announced that they will be on tour this summer in support of FOZZY beginning August 25th at the Saturn Stone Broken in Birmingham, AL. 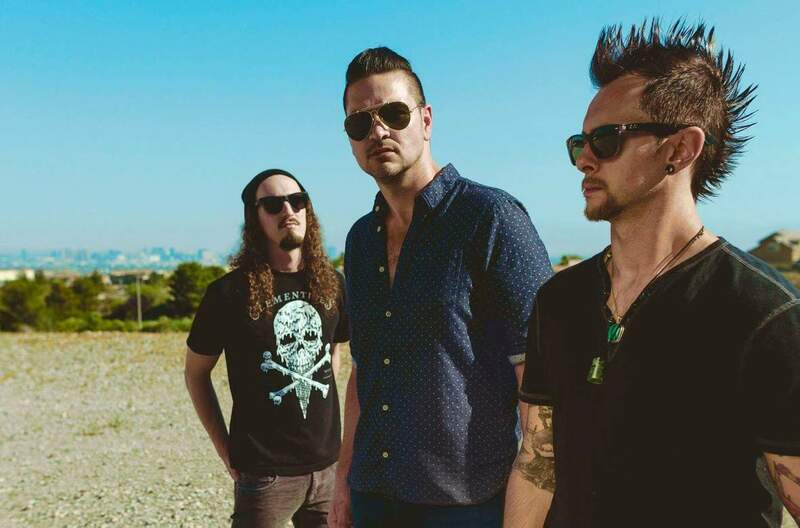 Las Vegas’s Adelitas Way formed in 2006, and created a massive buzz in the Las Vegas music scene selling out it’s first 3 shows in Vegas, in 2009 they broke into the mainstream with their anthemic song “Invincible”, from their self-titled debut album. INVINCIBLE paved the way with numerous television spots, including the “CSI Miami” finale, served as the theme song for the weekly WWE Superstars show, was also featured in the THQ video game “Raw vs Smackdown” and on Fox Sports Network as the college football theme song. It was also featured on ESPN Monday night football, and on Fox (MLB playoffs). At the end of 2012, Adelitas Ways album Stuck was released July 29, and had a Top 10 single with “Dog on a Leash” (#5 active rock). “We Came” was currently ESPN Monday night football 2016 theme song. The band released the hit single “Bad Reputation” from their 4th album Getaway and hit top 10 at Rock Radio. Adelitas Way embarked on their biggest headlining tour to date selling out over half the shows on the “Bad Reputation” tour, and packing venues nightly on a 40 date trek. The bands current single “Ready for War” (Pray for peace) released on Sept 30, which is currently #22 at rock radio. “Ready for War” is the official theme song of WWE PPV TLC. “Notorious” was released in 2017 and became one of the bands most successful singles in its history, gaining over 10 million streams and growing. The new singles “Drifting” and “Still Hungry” are on fire on Spotify, Apple Music, Octane, and Rock radio. The band has toured with Guns N Roses, Shinedown, Creed, Three Days Grace, Halestorm, Theory of a Deadman, Breaking Benjamin, Staind, Alter Bridge, 10 years, Buckcherry, Hinder, Flyleaf, and The Pretty Reckless to name a few. They have played the main stage at the biggest rock festivals in the US, such as Rock on the Range, Carolina Rebellion, Louder than Life and more.